While the Hitman games have proved to be a popular franchise over the years, Hollywood’s two incarnations of Agent 47 haven’t done the name justice. But now, it looks as if we’ve got the best version of Hitman ever to appear on film; not an actual movie, but a real-life interactive experience. 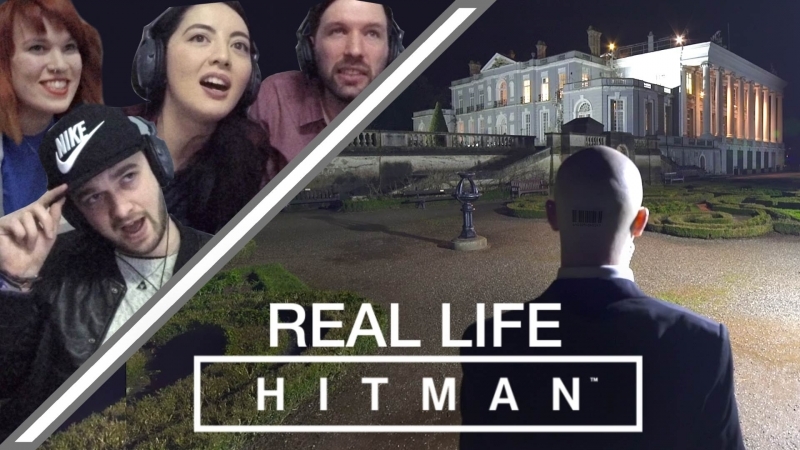 The project is the work of British production company Realm Pictures, which was commissioned by Hitman developer IO Interactive to create a way for YouTubers to control an actual Agent 47 (well, an actor playing him, obviously) as he makes his way around a real-world mansion. Just like a level from the game, players have to navigate setpieces and locate their target from the 22 actors on the set before assassinating them. They have one hour to complete this mission and escape the premises. Players control Agent 47 using voice commands sent to the actor’s earpiece. They were able to do pretty much anything that’s allowed in the video game version, including stealing and wearing clothes, manipulating objects, and attacking people. For added authenticity, the character's voice is provided - in real time - by David Bateson, who voiced Agent 47 in the Hitman games. Even knowing that there’s a camera operator following the main actor, the whole thing feels pretty real. The studio had to consider all the different ways that players might carry out the assassination, which meant creating five different methods of infiltrating the building and ten different ways of approaching the target. Realm Pictures was also behind a similar, Chatroulette-based live-action FPS last year. Following Real Life Hitman, the company says it has more projects lined up. "Trust me when I say that I cannot wait to show you what we have in store for you next,” said director David M Reynolds. I enjoy acting, I wish I could audition but I'm also in the US which could be a problem. Holy crap that's really cool, the camera work especially, going to have to watch more of this later when I have a chance. Cool! That looks very intense. The graphics and AI keep getting better.